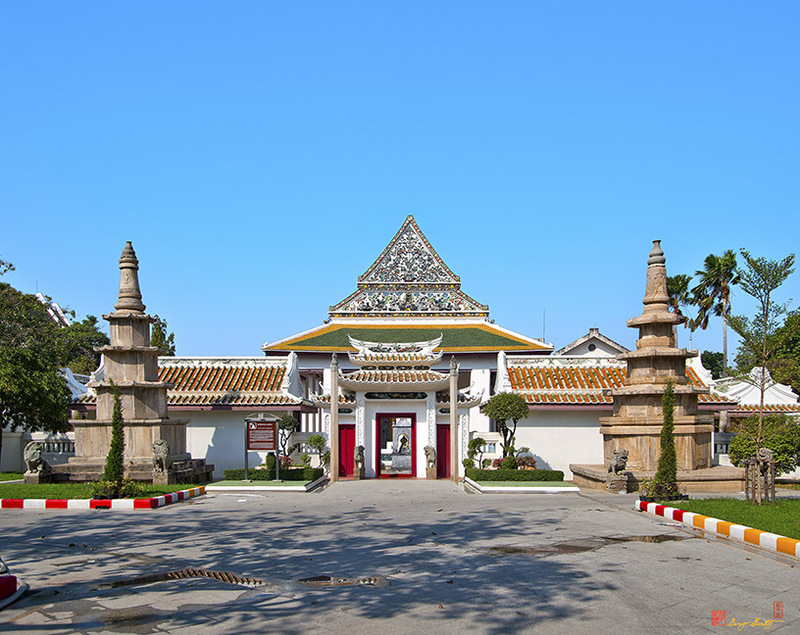 Wat Ratcha Orasaram Ratchaworawihan, วัดราชโอรสารามราชวรวิหาน, is a first class royal monastery or Ratchaworawihan. 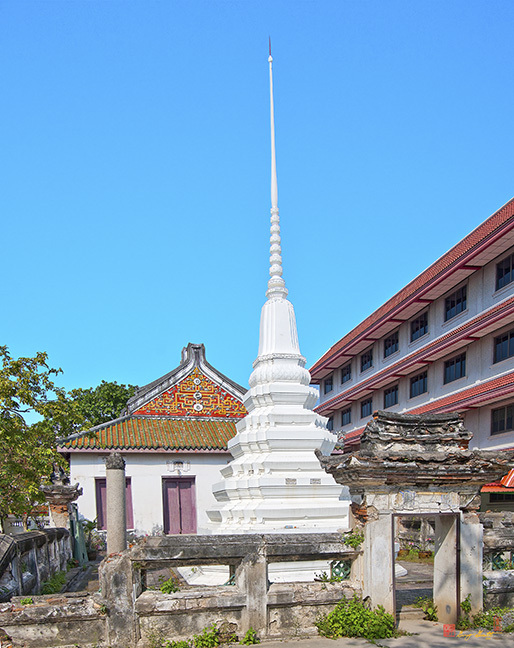 The temple is ancient, having existed since the Ayutthaya period. 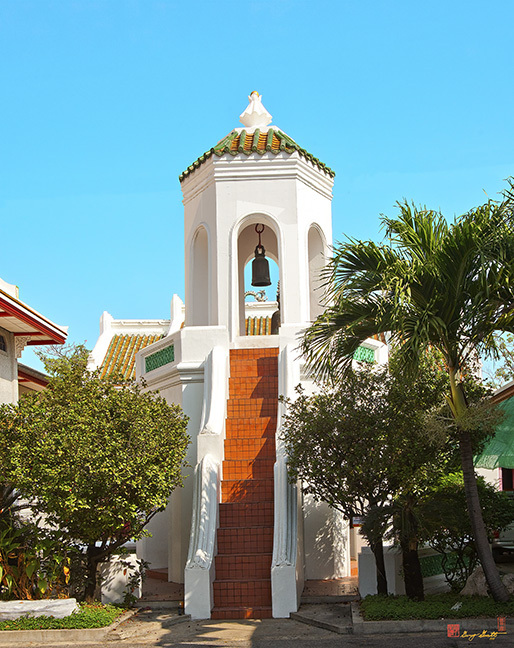 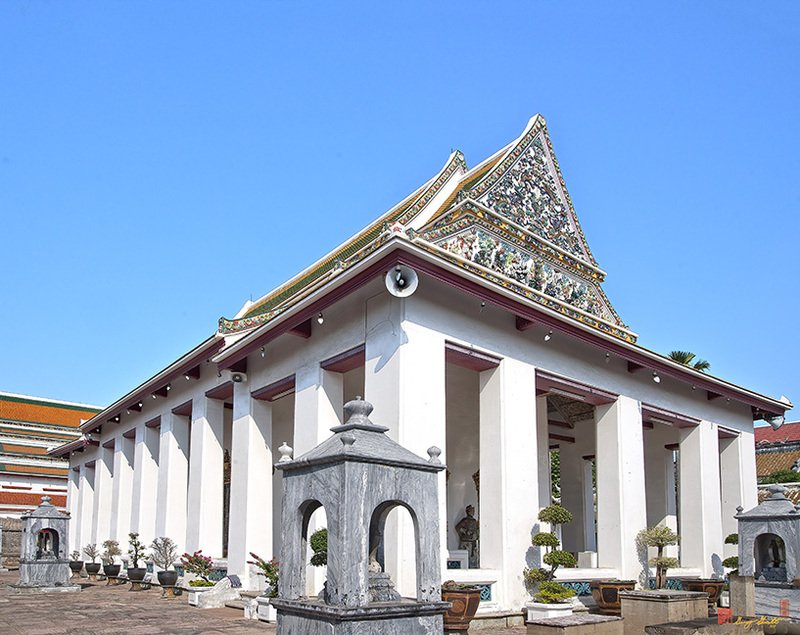 Its original name was Wat Chom Thong. 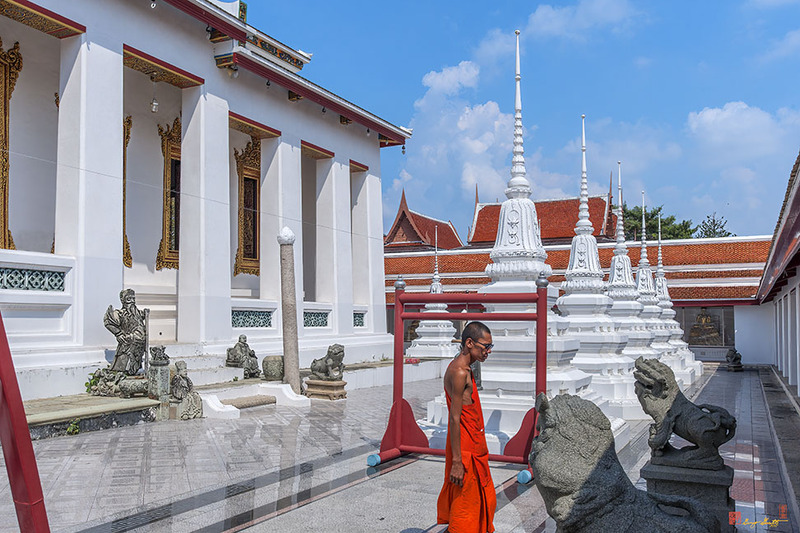 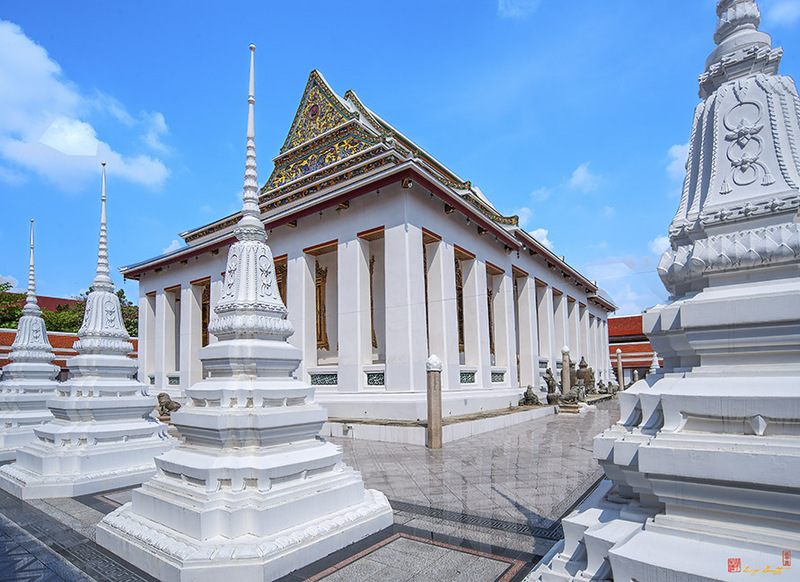 King Rama II renamed the temple to Wat Ratcha Orot, which means the temple was renovated by Ratcha Orot (the King's son) who was later crowned King Rama III. 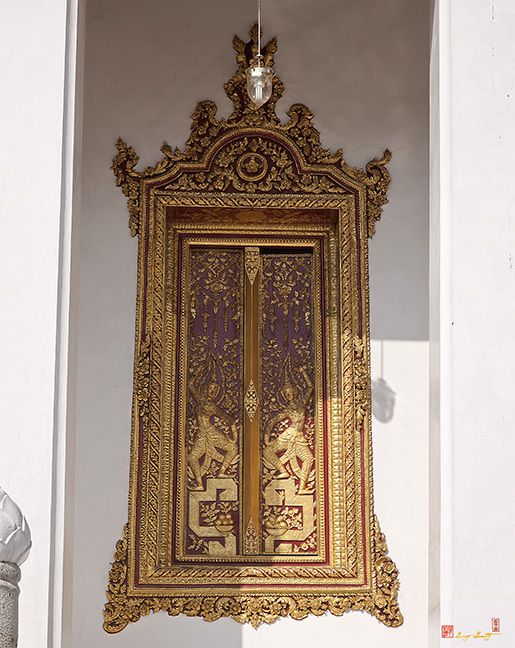 At that time the prince held the position of Prince Chetsada Bodin. 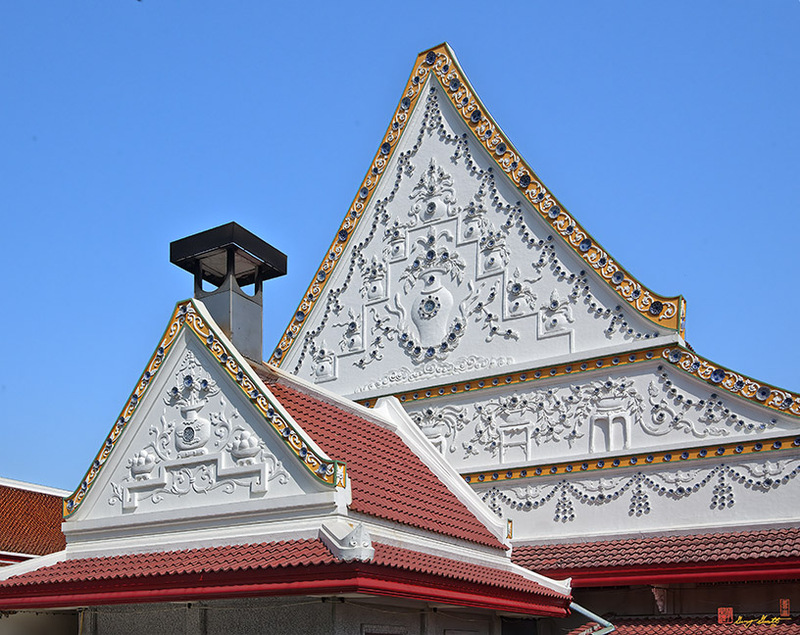 He was the commander who led the Thai army to engage the Burmese army in Kanchanaburi Province. 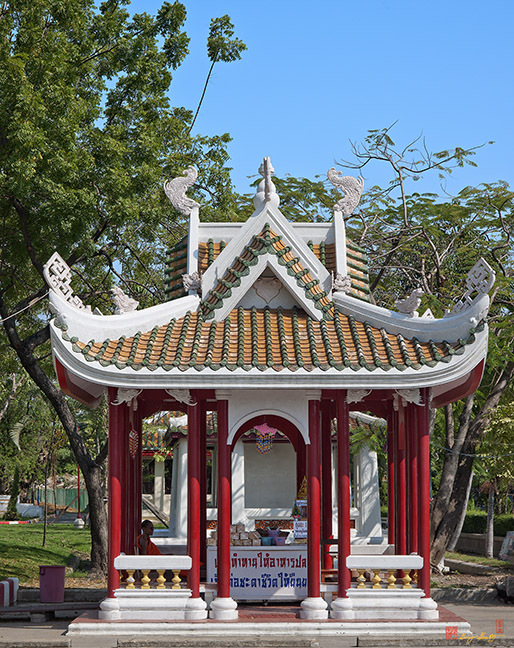 On the first day of his march to war his route passed from Bangkok Yai Canal, (Bangluang Canal today) to Khlong Dan (Dan Canal). 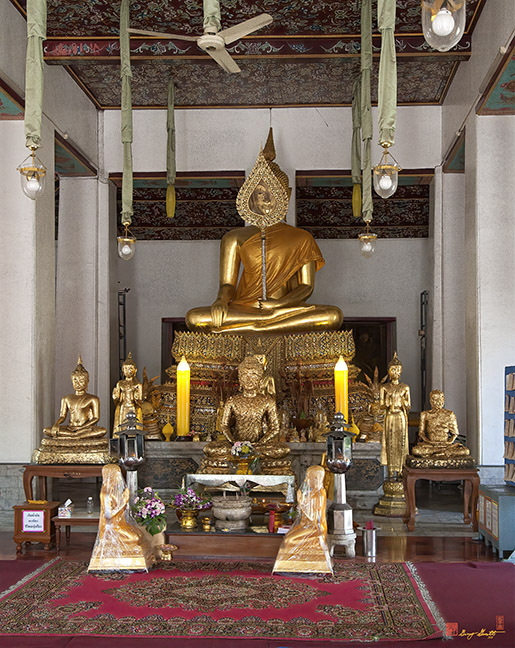 He reached this temple and stayed there overnight. 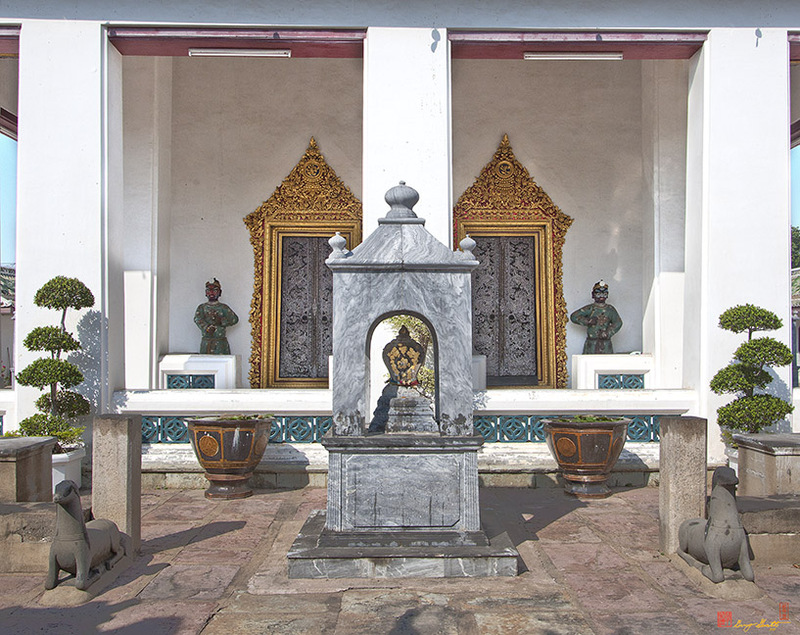 He officiated a religious ceremony called Khon Thawan (Brahmin's Ceremony - blessing to warriors who are going to war) in accordance with the old Treatise on War Strategy. 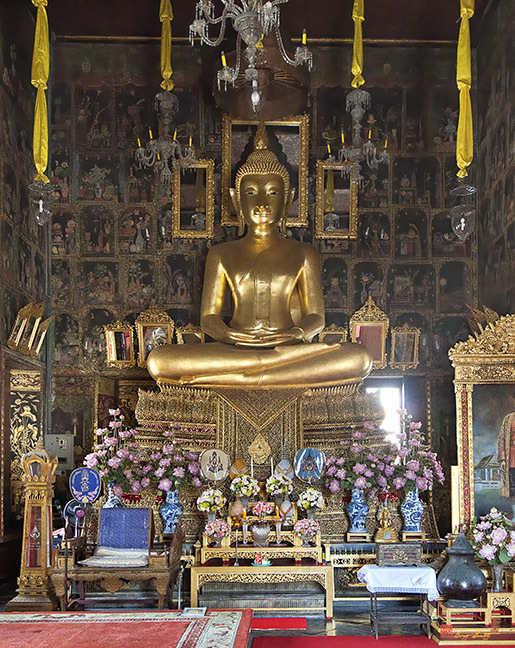 It is told that the abbot of the temple had calculated an auspicious outcome to the campaign and he told his prophecy to the Prince, that the Prince should win the war and come back safely. 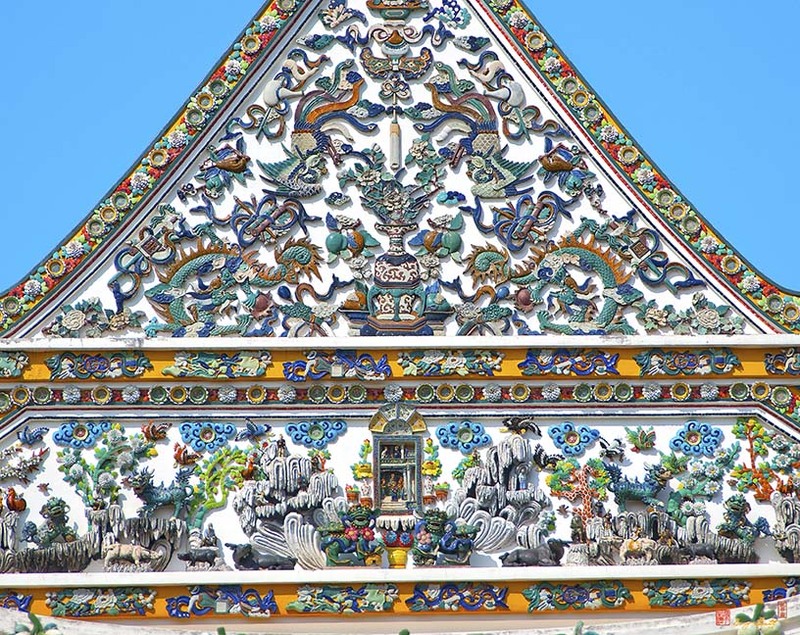 Having faith in the abbot, the Prince promised that, if he had victory in the war, he would come back to renovate the temple. 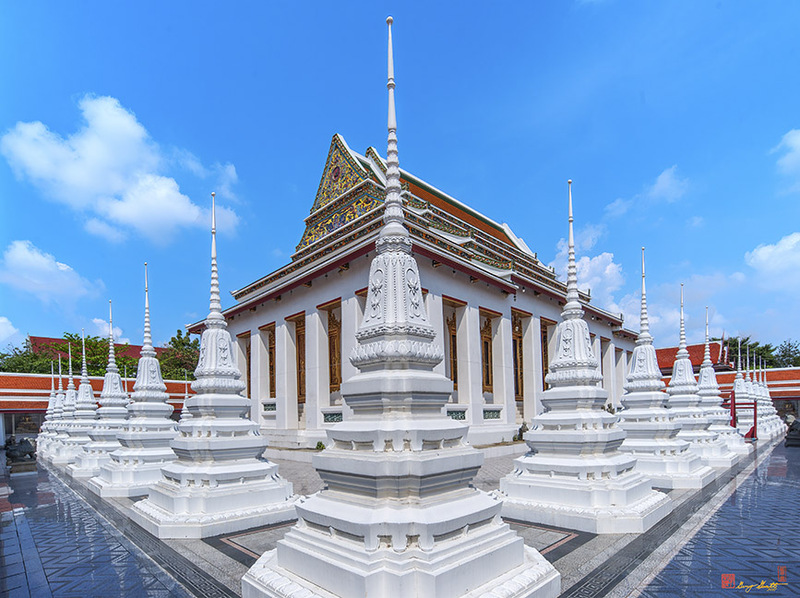 After the Prince had won the war, he ordered the entire temple restored. 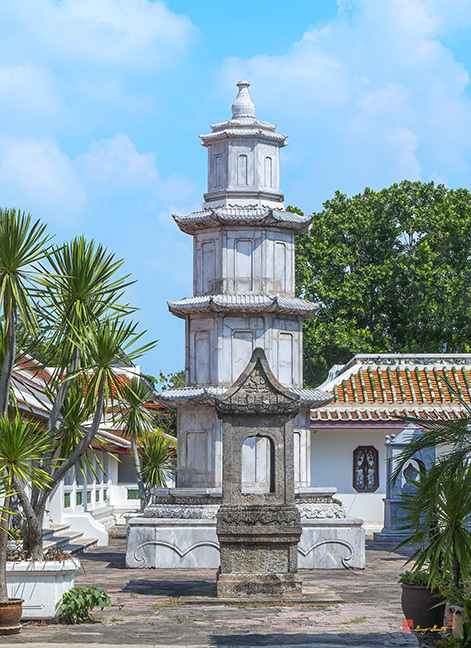 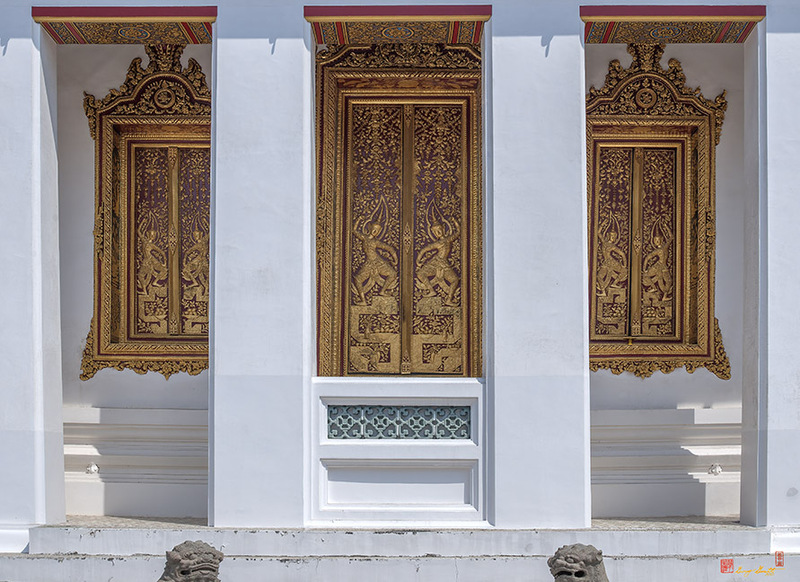 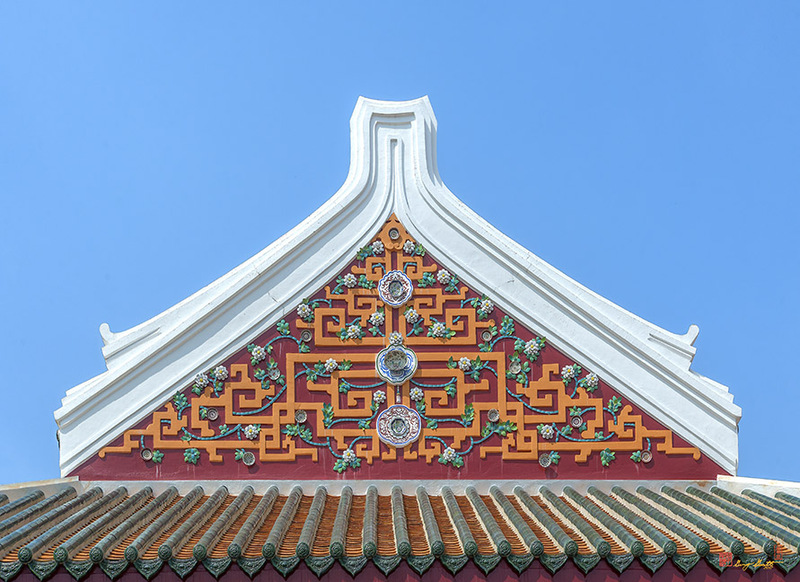 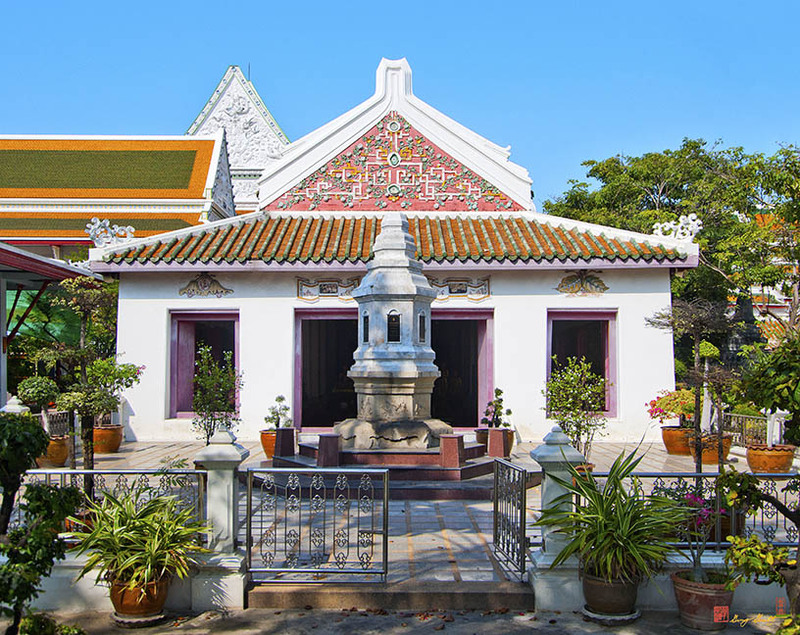 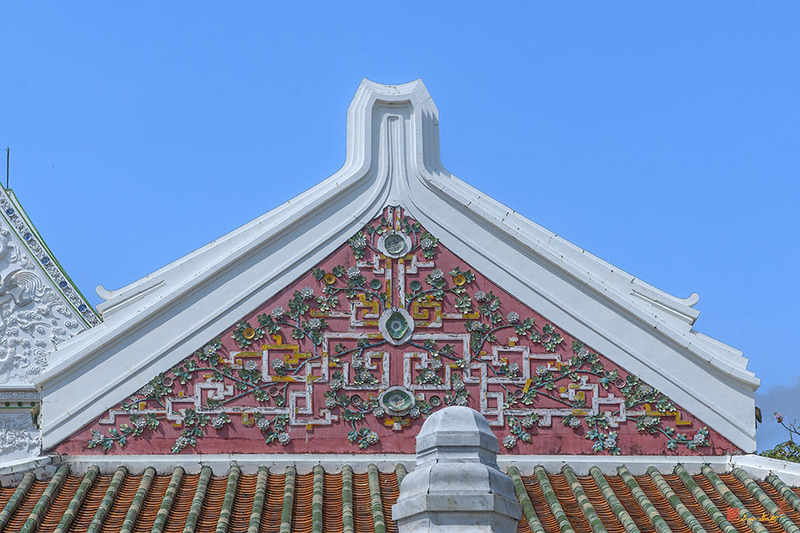 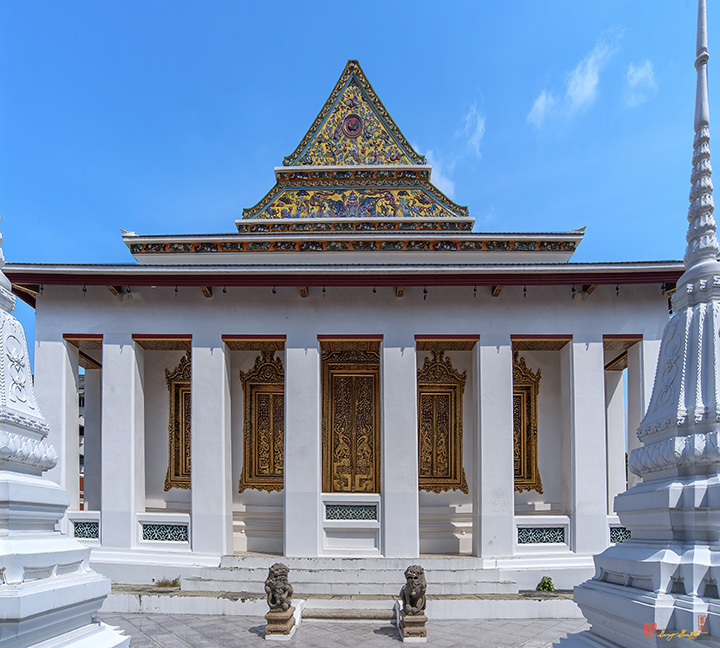 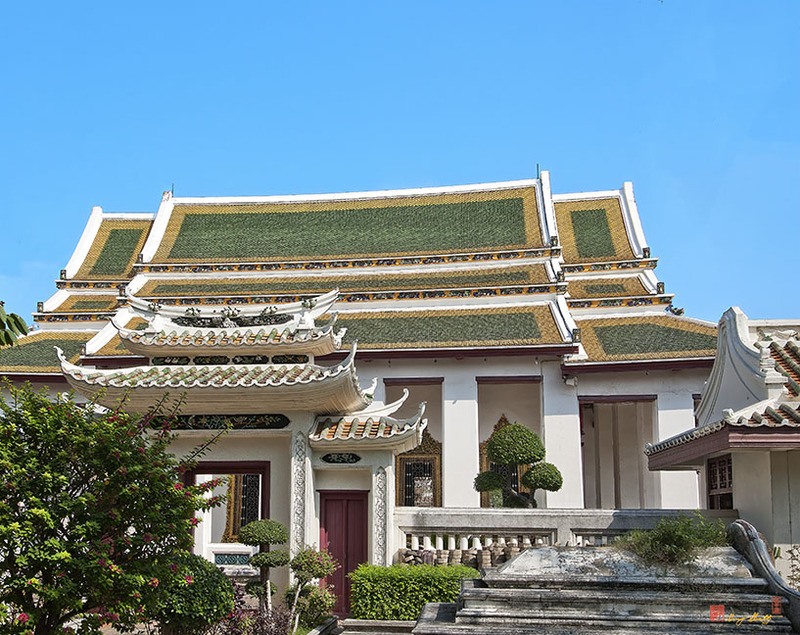 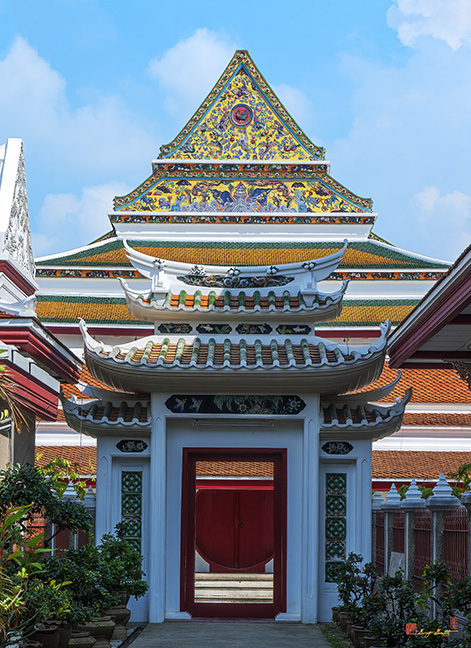 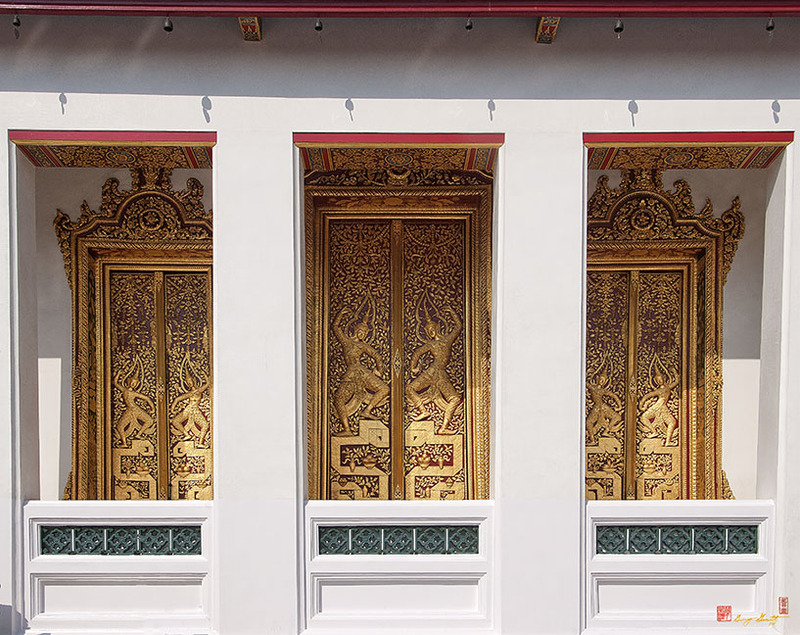 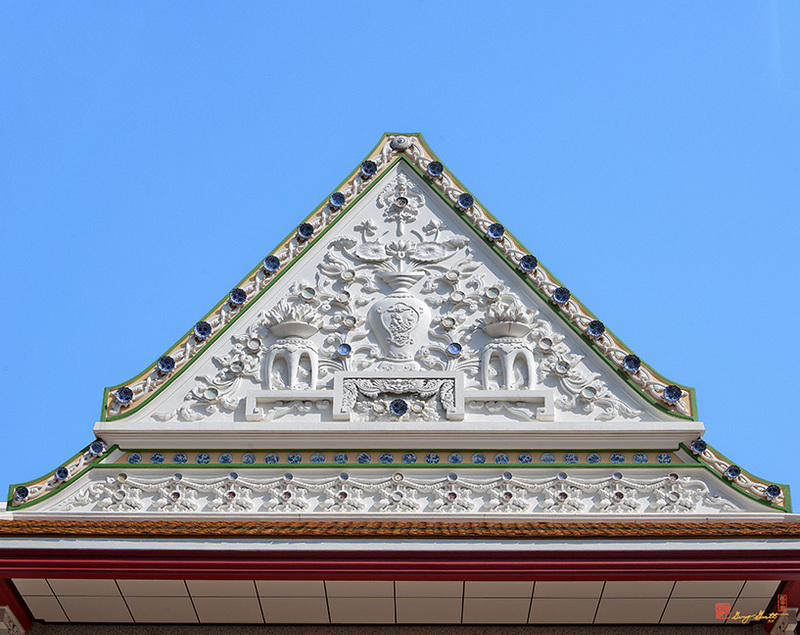 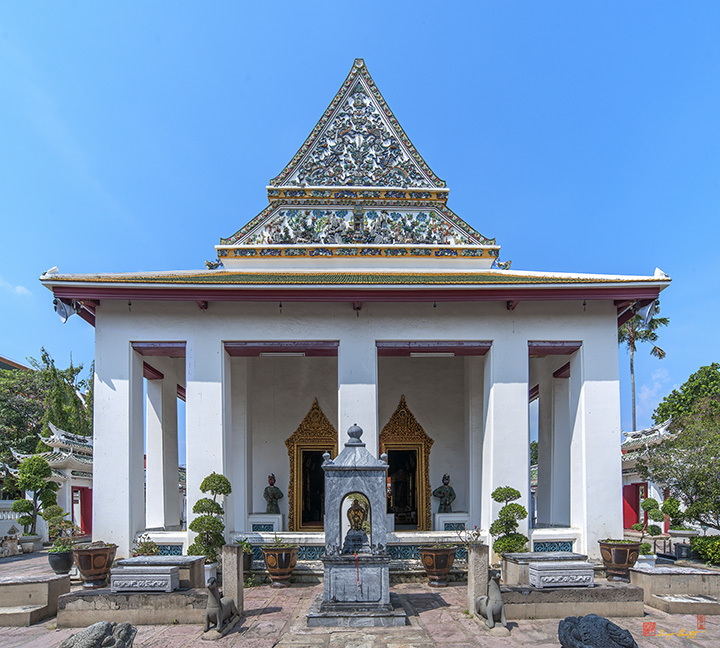 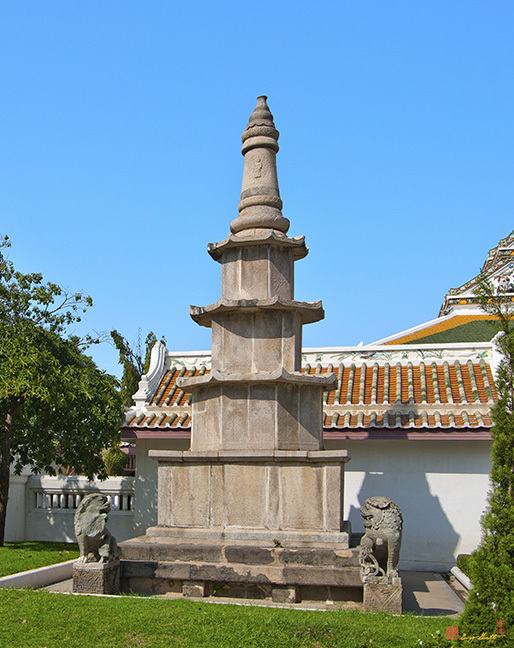 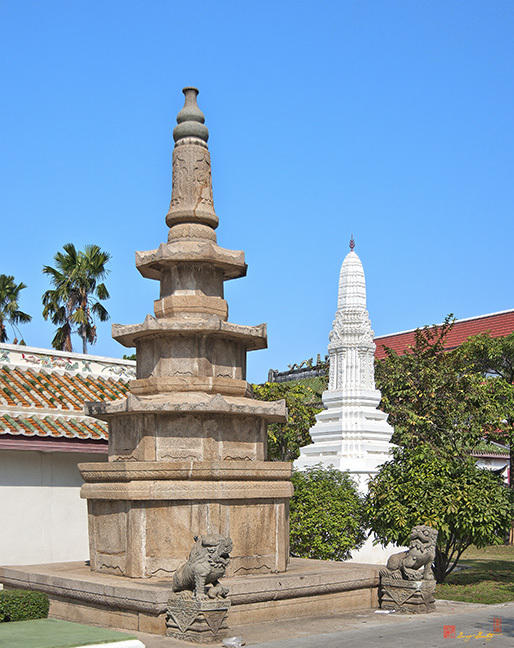 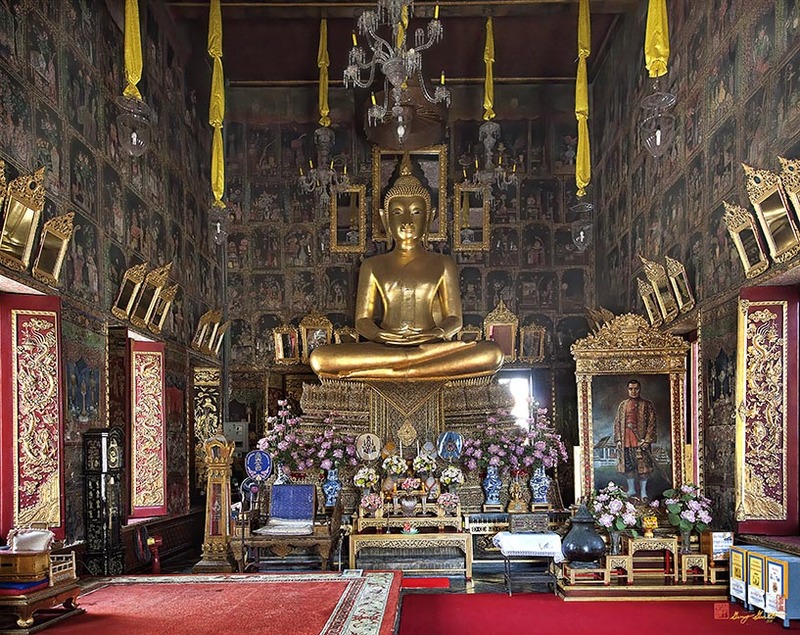 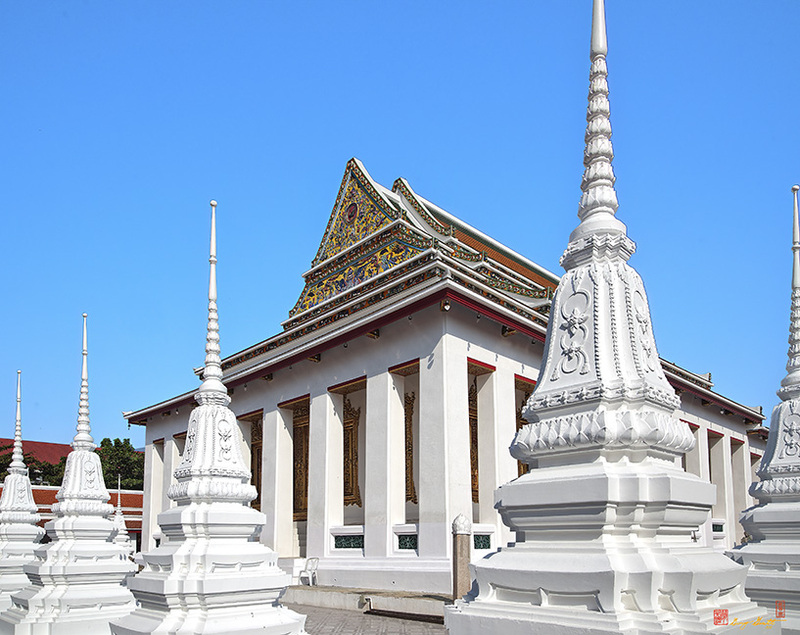 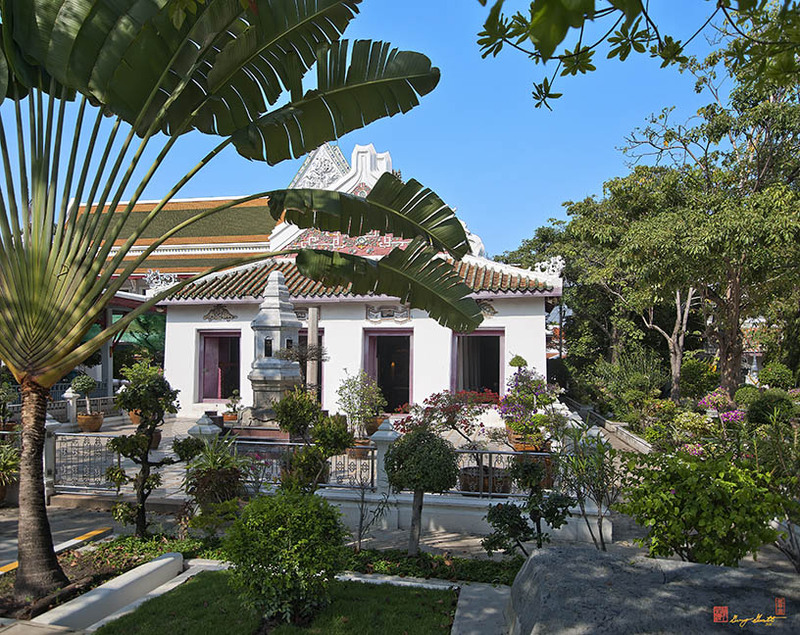 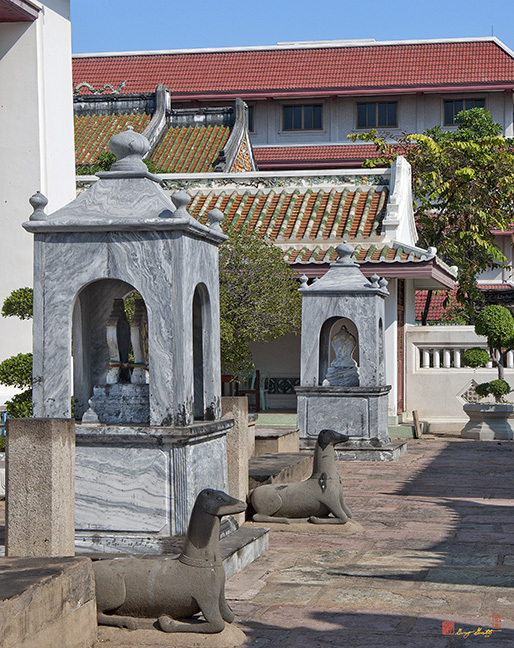 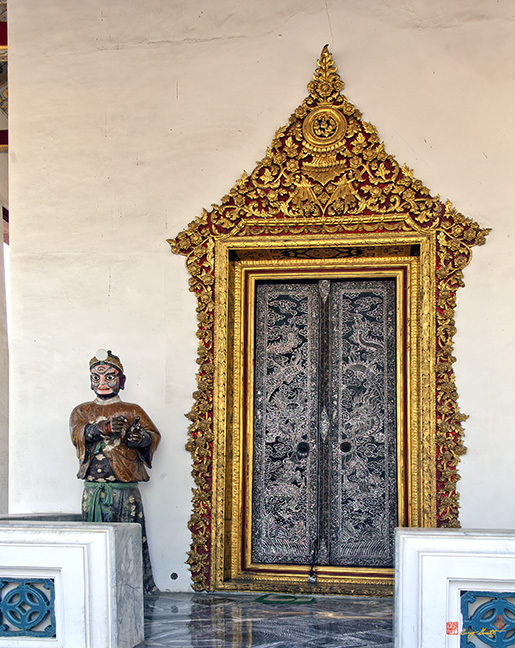 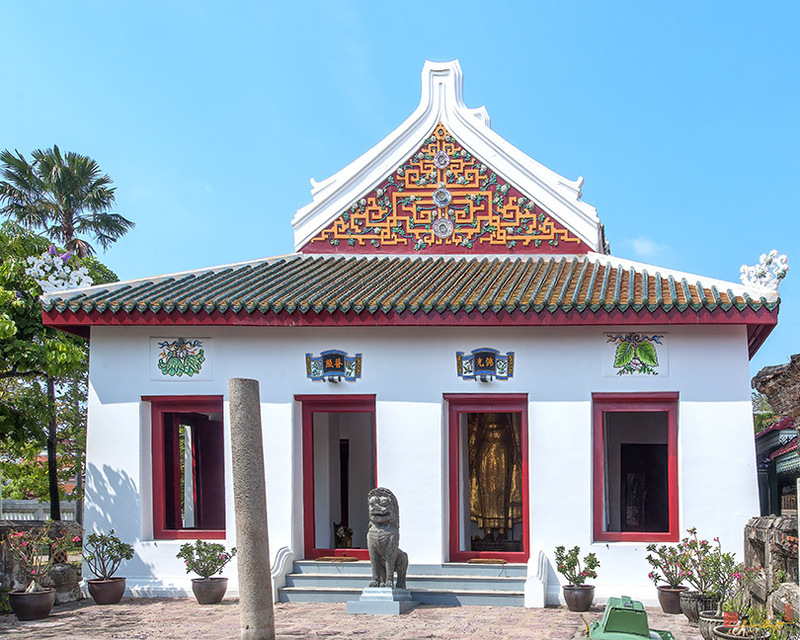 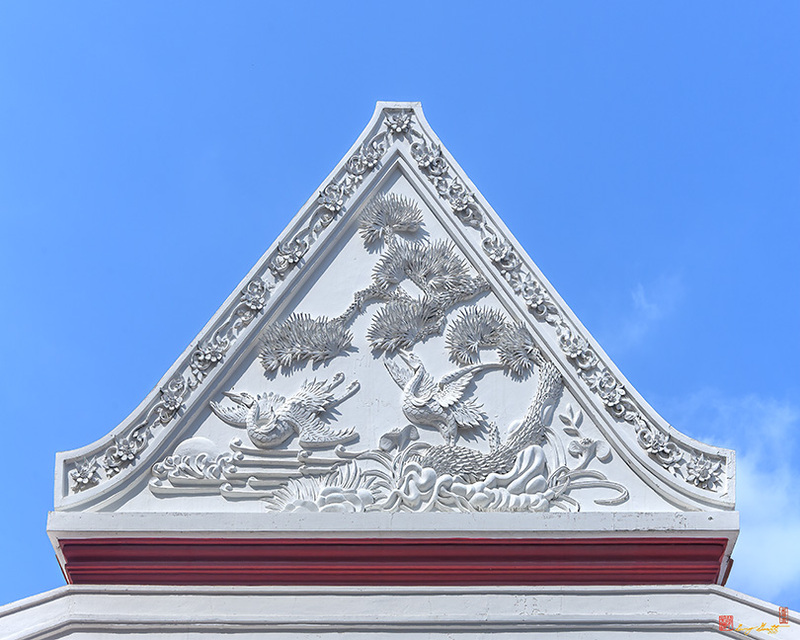 Because he favored Chinese style art, the architectural and artistic work for the temple's restoration was a combination of Thai and Chinese styles, called The Royal Favored Art. 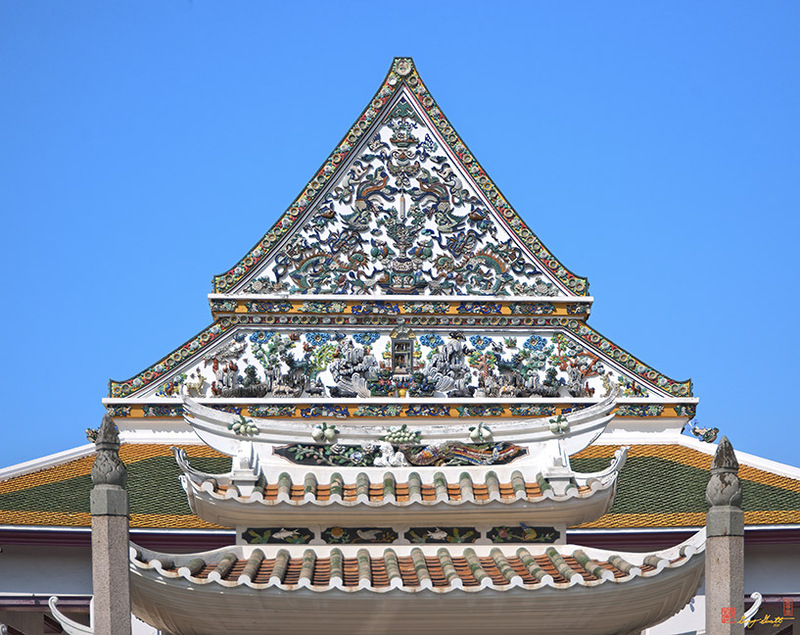 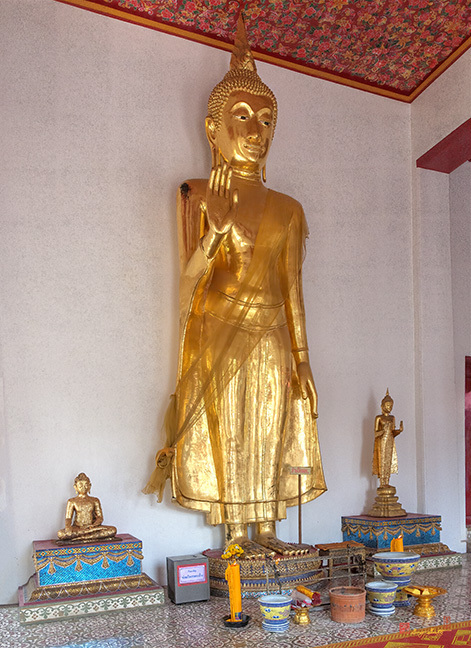 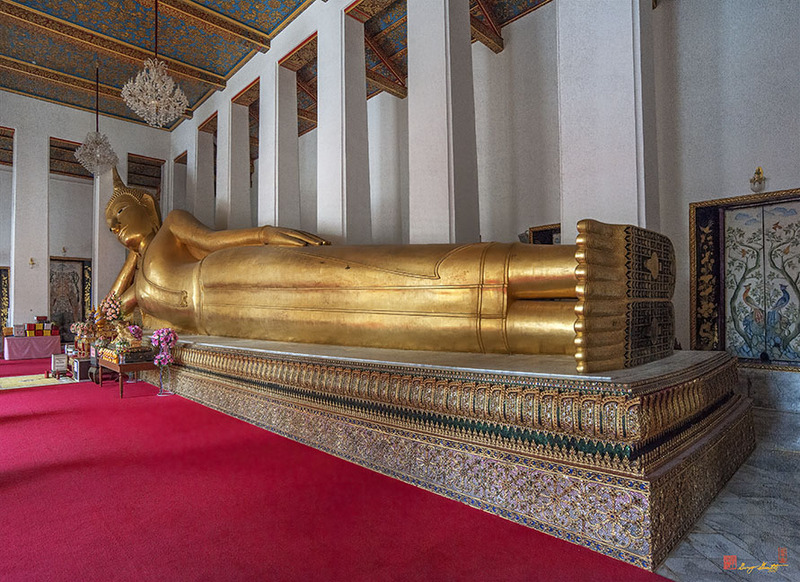 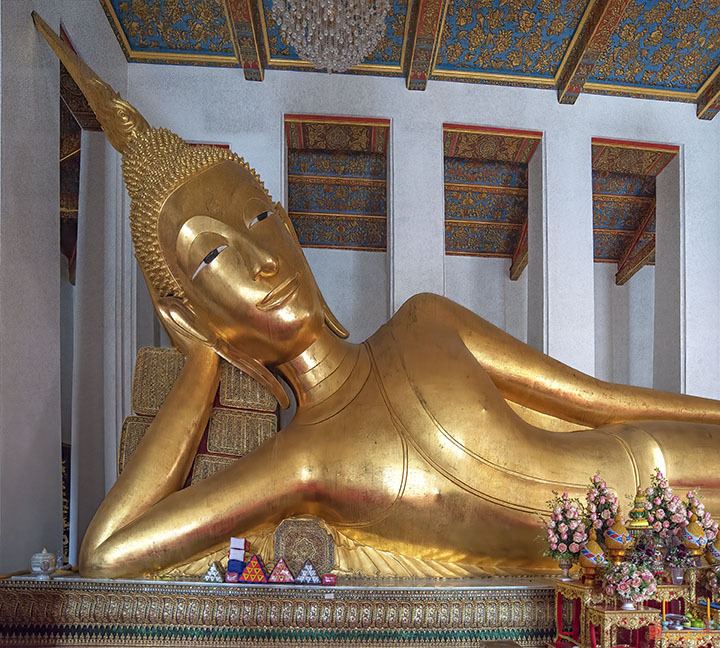 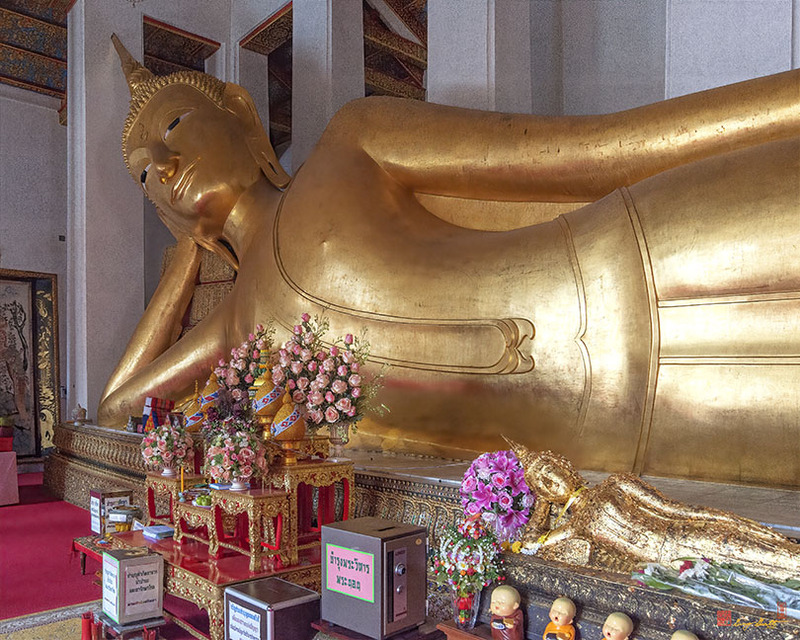 The harmony of the Thai and Chinese styles can be seen in both the Wihan (the Sermon Wihan) and Phra Ubosot (The Ordination Hall) of the Reclining Buddha. 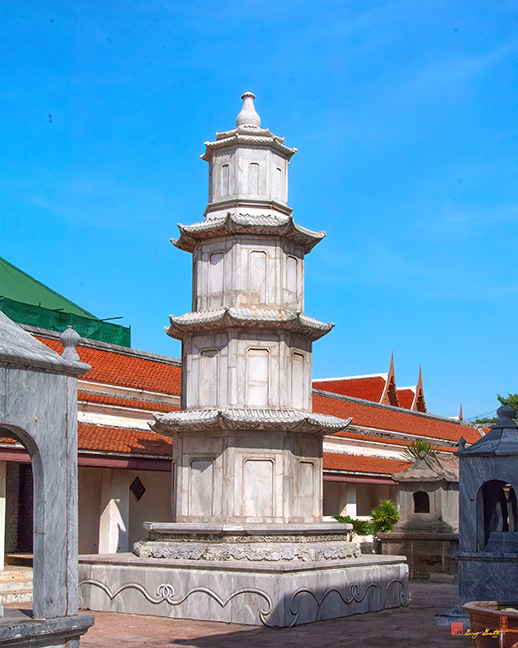 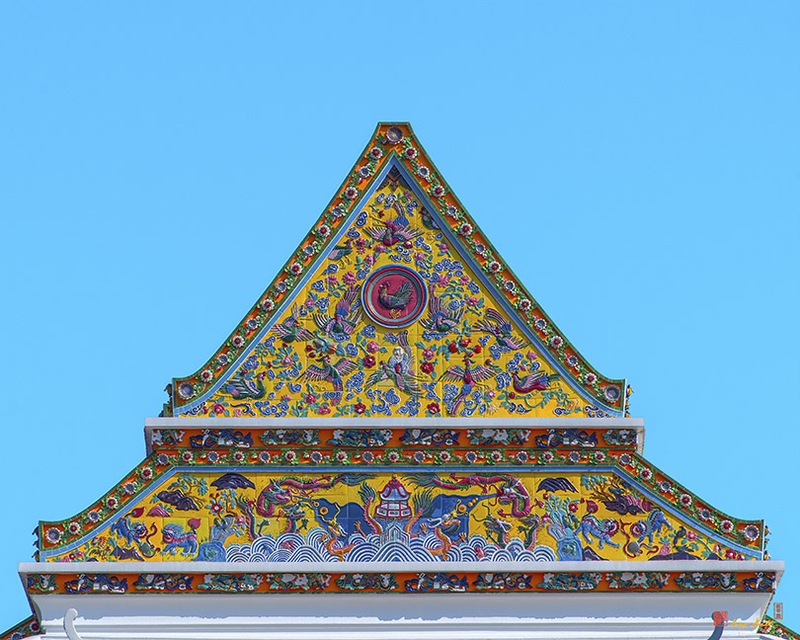 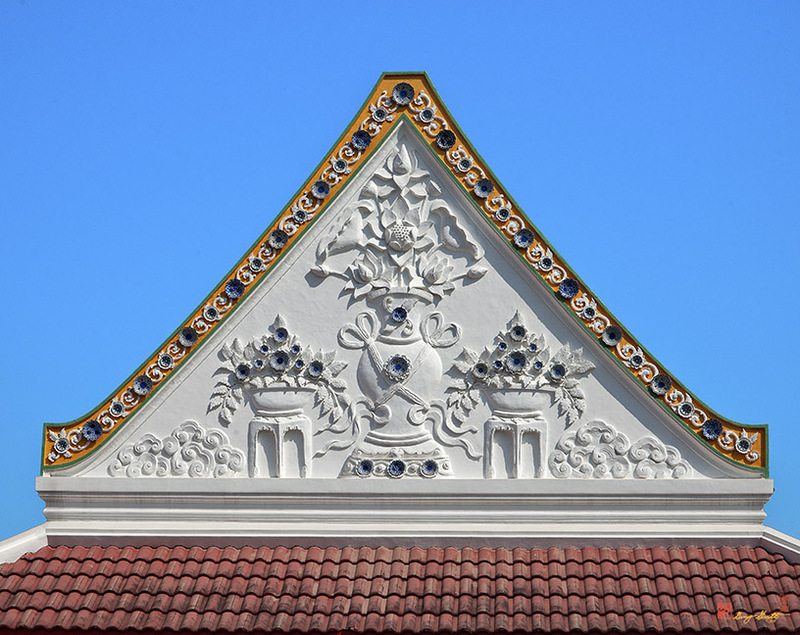 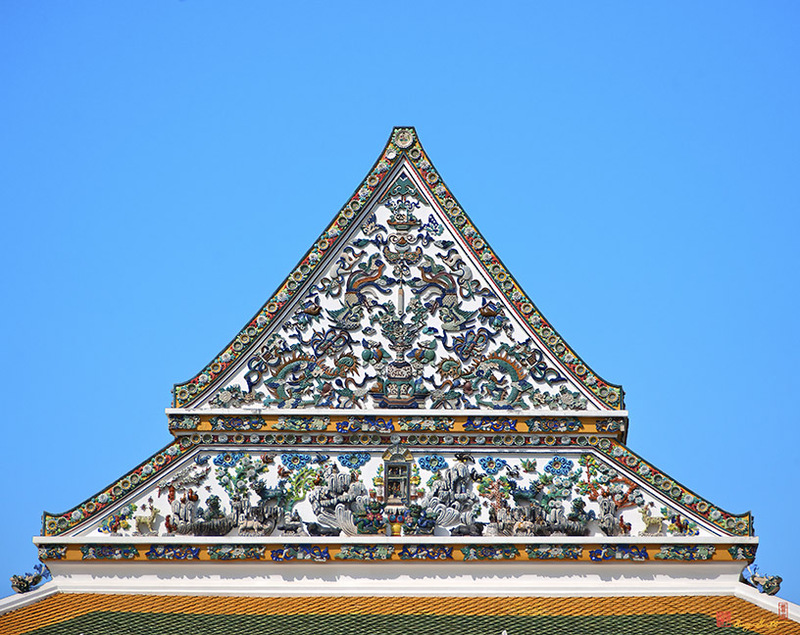 This was the first temple to be built without the typical Thai decoration on the roof of the Phra Ubosot and Wihan.